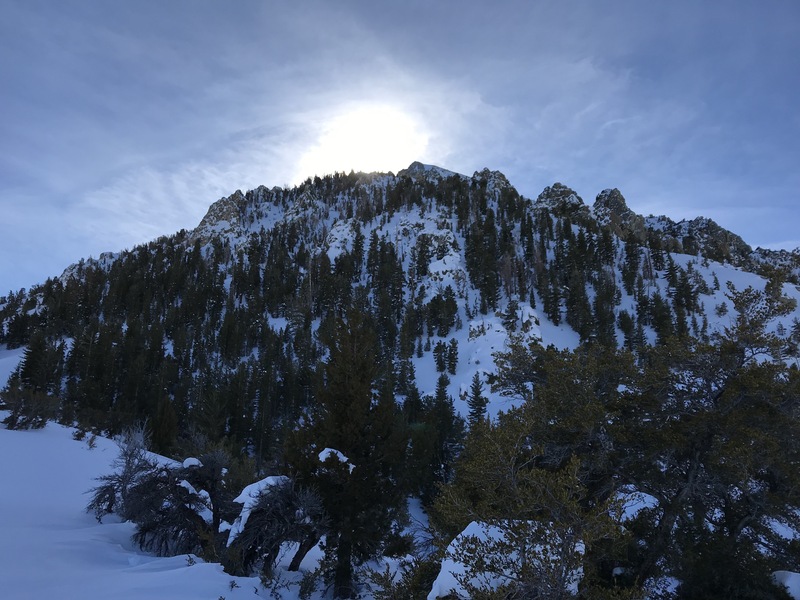 Today off Gilcrest Peak in Lundy Canyon shallow & supportable Wind Slabs were found on N-E aspects Below Treeline. 5" of new snow was transported to Leeward aspects & Cross-loaded features from the most recent Sunday night storm. 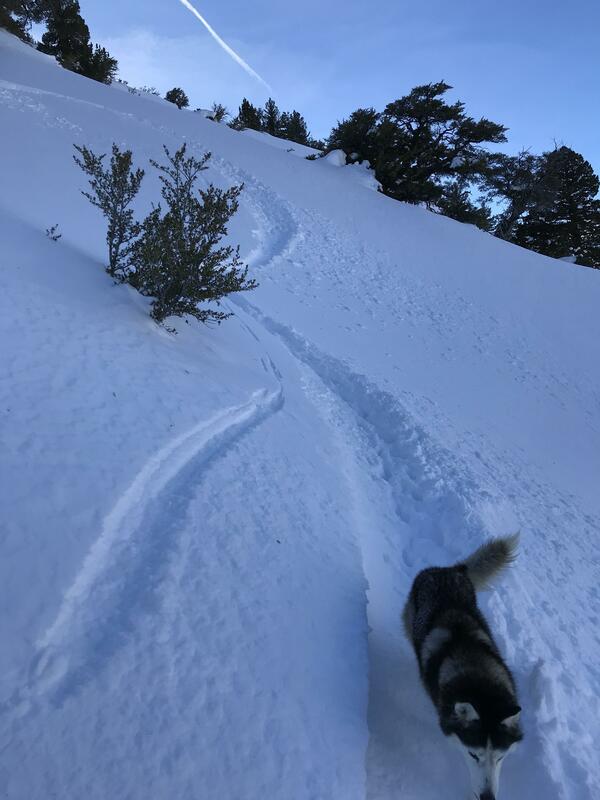 The splitboarding was enjoyable! Yesterdays soft snow conditions in the BWRA were prolonged with light snow & calm winds nearly all day. 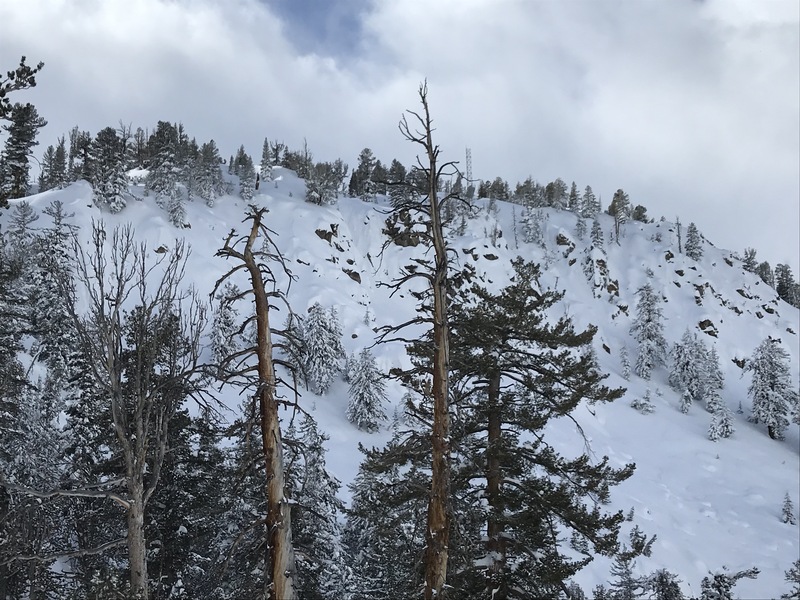 No new avalanches were observed in either location. Sunny skies with calm NW winds. Above average January temperatures & High Pressure are forecasted for the next few days.